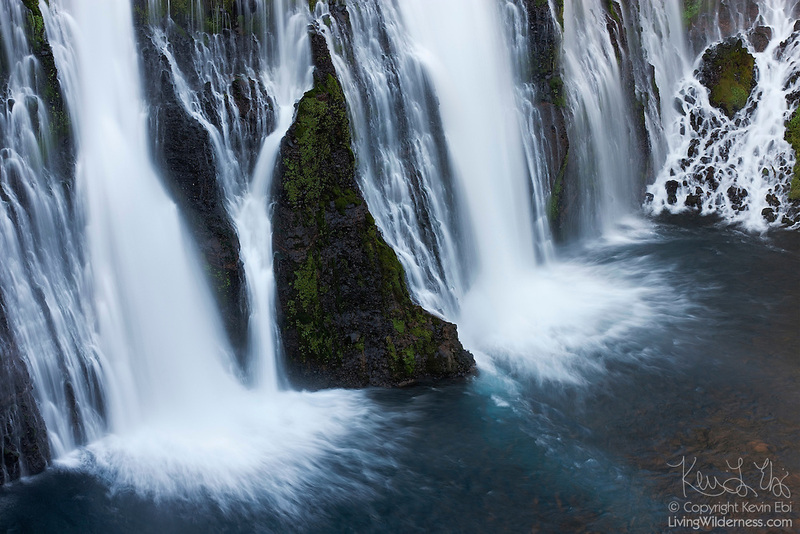 The dramatic Burney Falls plunge 129 feet (39 meters) at McArthur-Burney State Park in northern California. The waterfall is fed by underground springs at and above the falls and flows at an almost constant rate of 100 million US gallons per day (4 m³/s), even during the dry summer months. Copyright 2011 Kevin Ebi/LivingWilderness.com. All rights reserved.